**Adult humor and material. All ages show. Ages 18 and over recommended. Chicago-native Ty Barnett got his start at Seattle Comedy Underground and his star has been on the rise ever since. Dedicated to "Bringing The Funny," his shows have been called hilarious, thought-provoking, edgy, and have earned him countless TV appearances. 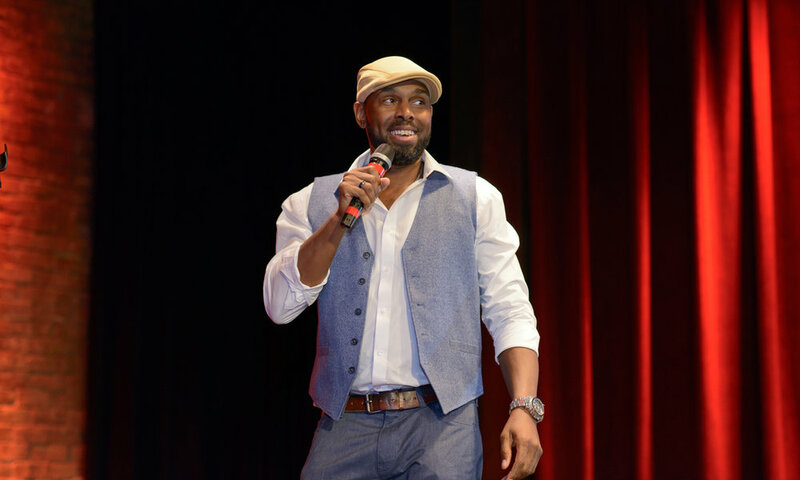 As one of two finalists on the Emmy-nominated TV show, "Last Comic Standing," Ty has been featured multiple times on NBC's "Tonight Show" and former host Jay Leno called Ty - "one of the funniest comedians working." Along with HBO's "Bad Boys of Comedy," his own "Comedy Central Presents" and 1-hour special "Issues," Ty has been called "one to watch" by The Hollywood Reporter. He’s also been seen on the sitcoms “Samantha Who” and “Til Death”, as well as “Nick Mom night out” and “Tosh.O”. With charm and style that transcend race and age, Ty’s ability to rock ANY and ALL audiences has made him an international favorite on stages from the South Side of Chicago to theaters in London. You don’t “go to” a Ty Barnett show, you “hang-out” with Ty Barnett. In addition to Ty, this show features past winners and finalists of the Seattle Comedy Underground's International Comedy Competition and guarantees to have you laughing yourself silly. The Seattle Comedy Underground is world famous for its years of notable comics.